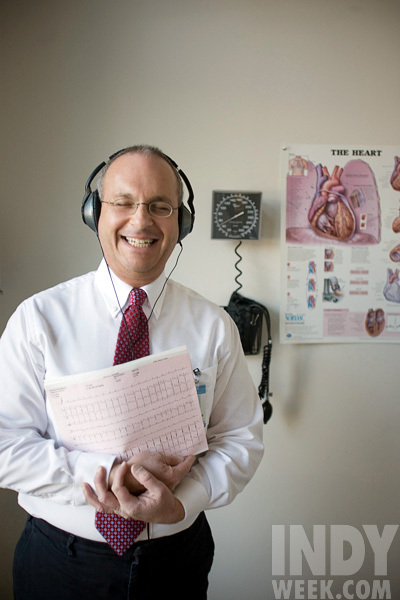 Mitch Collman is a practicing cardiologist with a big heart. Medicine is his vocation, but music is his passion. Mitch moved to Chapel Hill from Ann Arbor in 1983 to complete his medical training. He quickly realized that North Carolina was home to an amazing diversity of musical talent. He found that one didn’t need to travel to Austin or Athens to find fertile ground for world-class local music. North Carolina, he discovered, rivaled the best music scenes in the country. After many years as a local music follower, Mitch had a second realization: that despite the quality of the scene, there existed few resources to help emerging artists learn about he music industry and plan a path to gain wider exposure. True to form, Mitch acted. In 2008 he founded Robust Records with the mission of guiding emerging artists through the many important steps involved in making quality music, spreading that music, and acquiring fans – from production and recording, to disc manufacturing and online distribution, to booking and publicity, and to business management and funding. He has shared his philosophy with his artists that the focus is to make good music with rich lyrics – whatever the genre - and that success would follow.